You may as well start thinking of Google Now as one of the backbones to Android going forward. It’s clear that Google and the Android team are going to make this the most robust and feature-rich service on Android going forward. Sure, they’ll turn the camera software around, make UIs smoother, and tweak little things here and there, but the future is in Google Now and its ability to make your life easier. In the latest update to Google Search, that was released today, new Google Now cards and behind-the-scenes integration are more advanced than ever. Thanks to an attachment to your Gmail account, Google Now can show you tracking status on packages, flight information, hotel and restaurant reservations, and events that you are planning to attend. It crawls through your inbox so that it can pull important information out and then display it in Google Now. It will also let you know of movies opening in nearby theaters, concerts at venues, a photo spot around the corner, and other attractions. 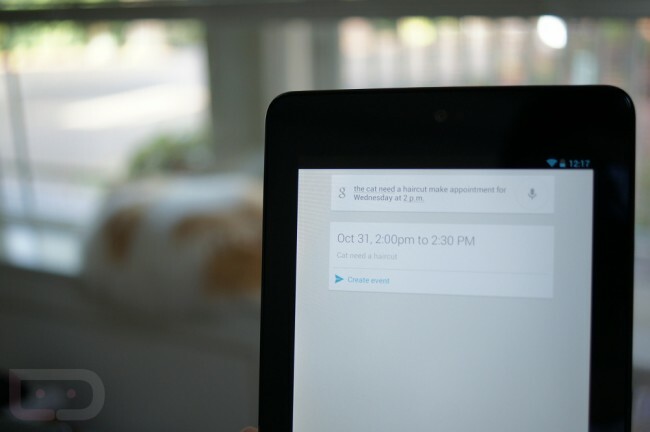 Beyond that, Google Now can do a few select actions such as launching apps, making appointments, and showing your next meeting on command. As long as you are running Jelly Bean, you can update and start taking advantage of these things, today.